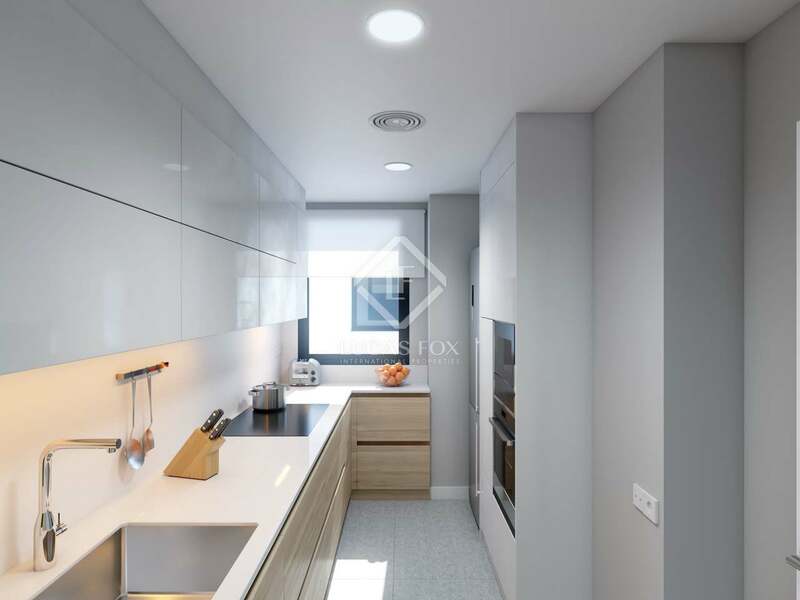 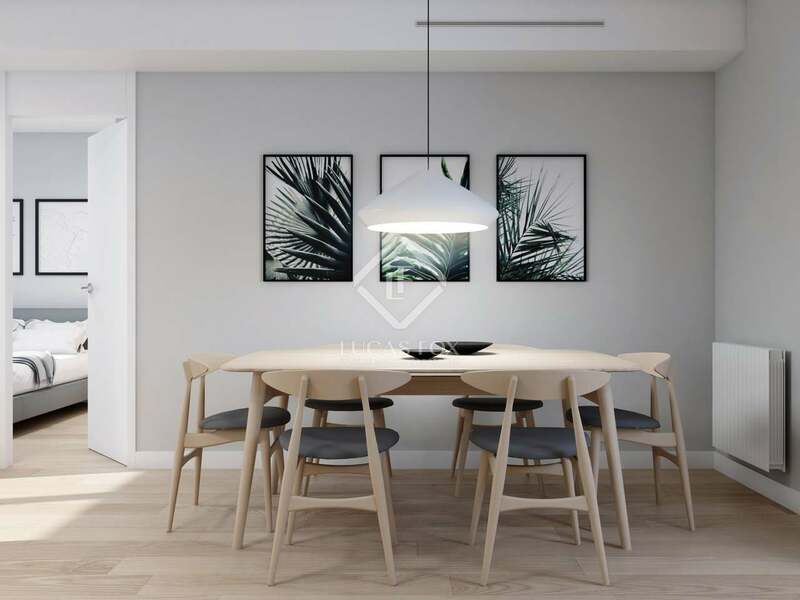 Wonderful new build home with the best quality finishes in an exclusive building next to the beach with a garage, pool and storage rooms in Poblenou. 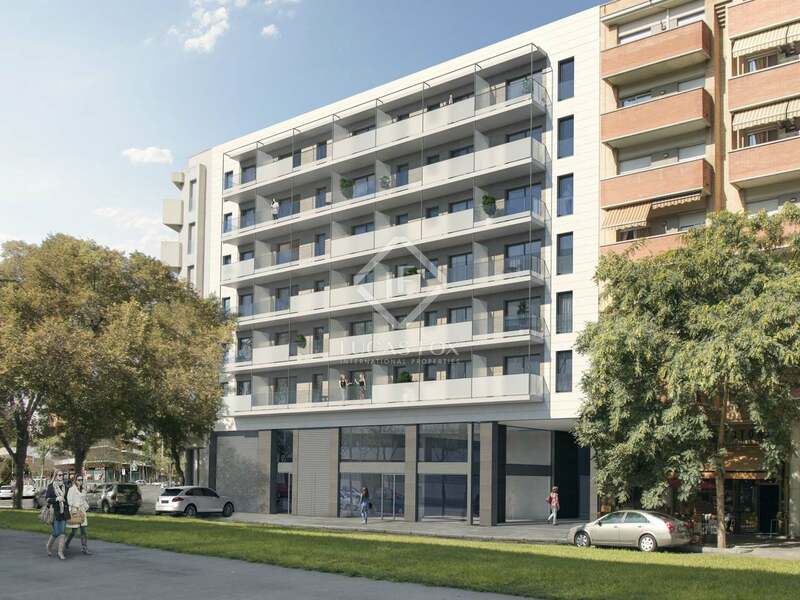 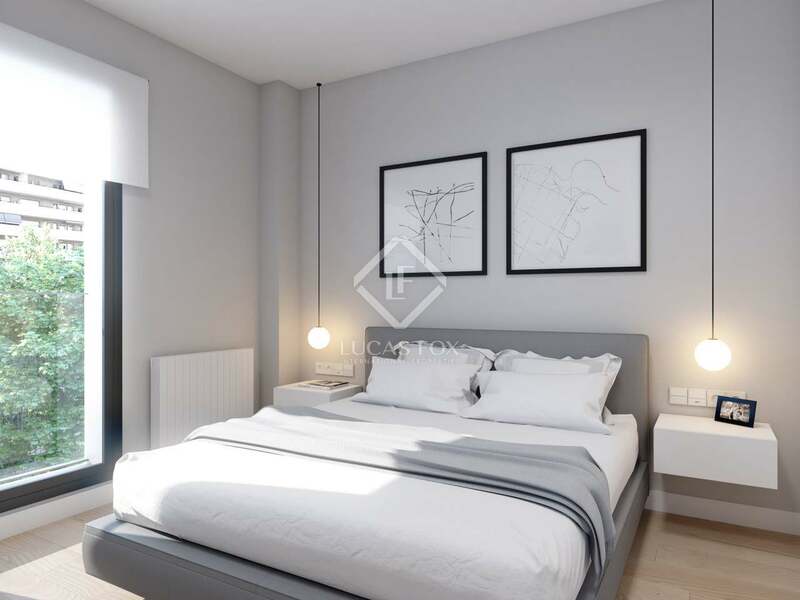 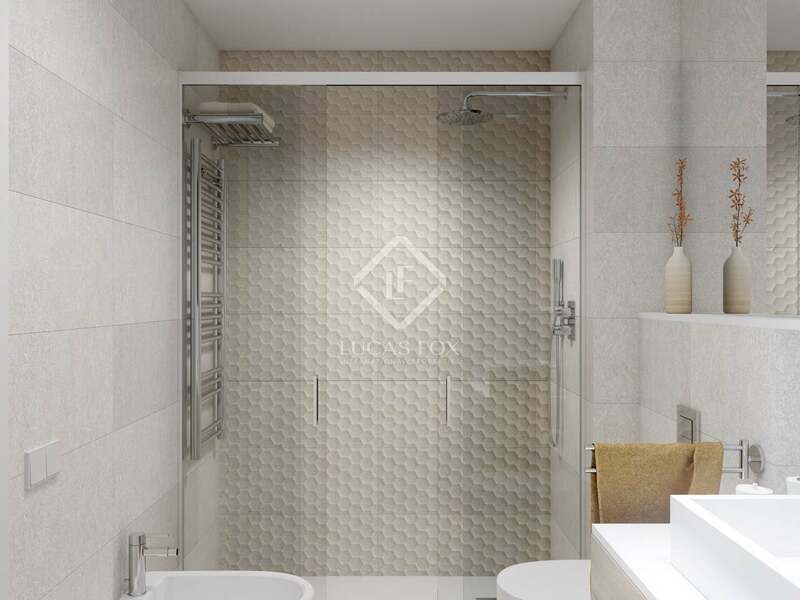 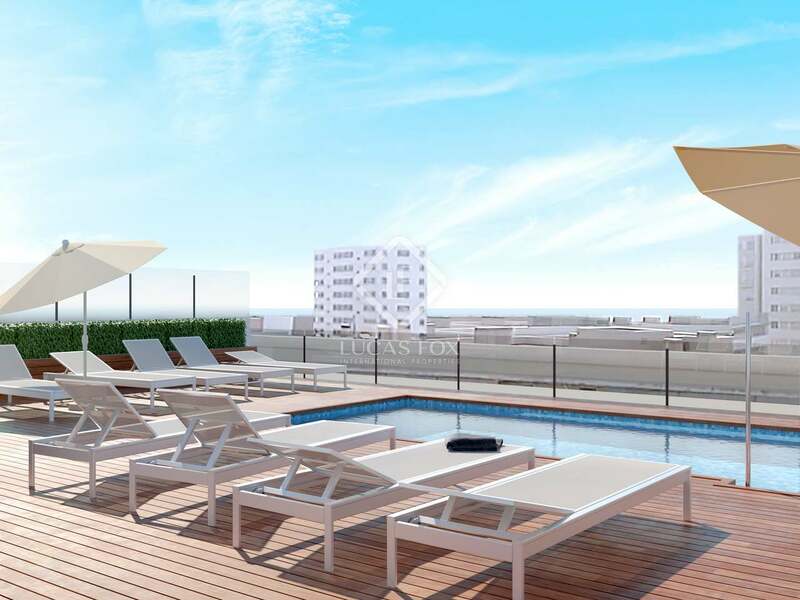 The exclusive Poblenou Taulat development offers this fantastic contemporary-style home. The building, designed by the architects Jordi Pons Carrió and Dídac Marsà Visay, has services and amenities such as a garage floor, a storage area and an excellent communal terrace with swimming pool. 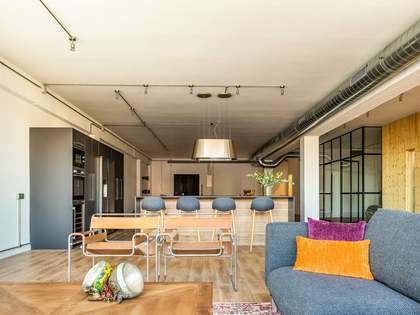 It is near Mar Bella beach and various green areas in Poblenou, one of the up-and-coming neighbourhoods of Barcelona: an area defined by its traditional neighbourhood atmosphere without compromising on the cosmopolitan and innovative atmosphere of 22 @. 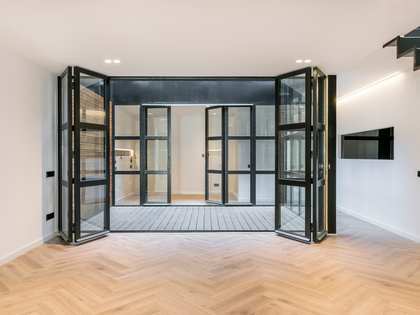 With an area of 108 m², this property has been created to adapt to a contemporary lifestyle and enjoys modern, functional design features, a carefully planned layout, abundant natural light and high quality finishes and materials among which are brands such as Gröhe, Frank and Neff. 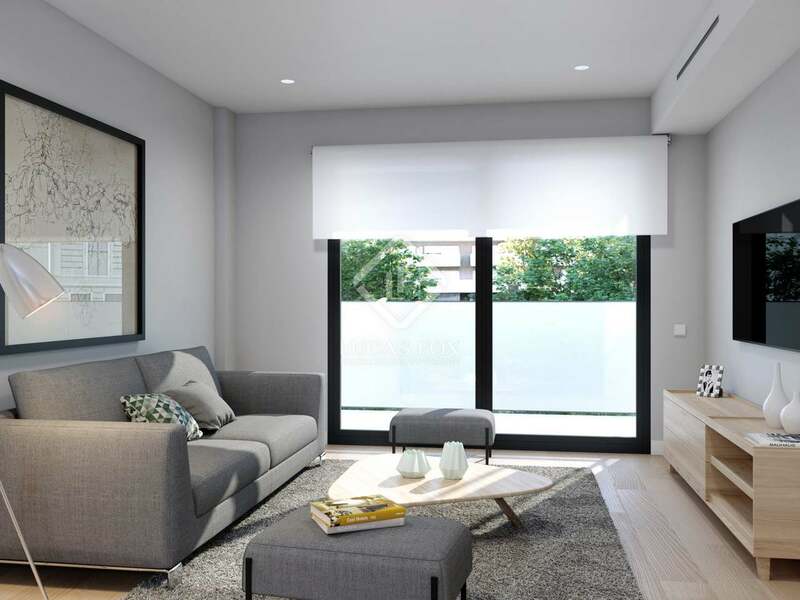 It also has features such as motorised blinds and a home automation system to make your life more comfortable. To the left of the entrance we find an equipped kitchen with high-level finishes, and on the right, a large living-dining room. 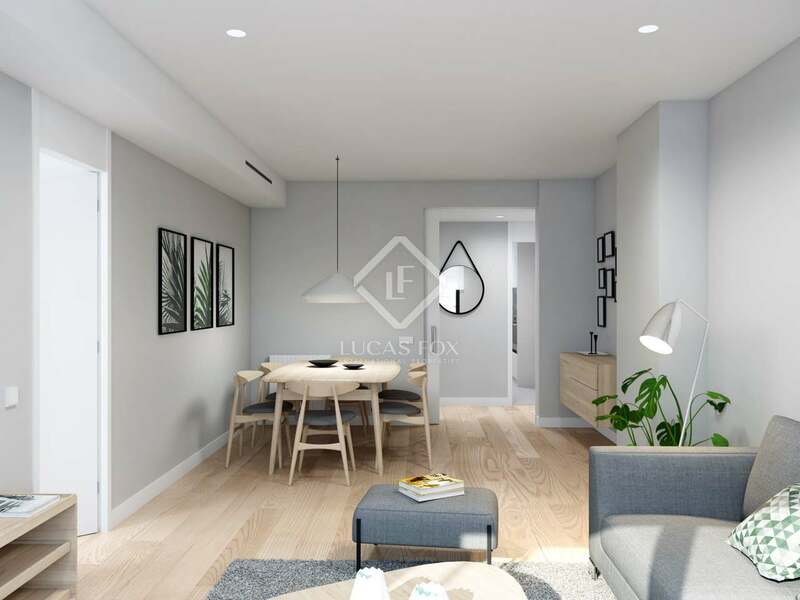 This pleasant and comfortable living area enjoys natural light thanks to its access to a terrace which is the perfect place to enjoy the great local climate. 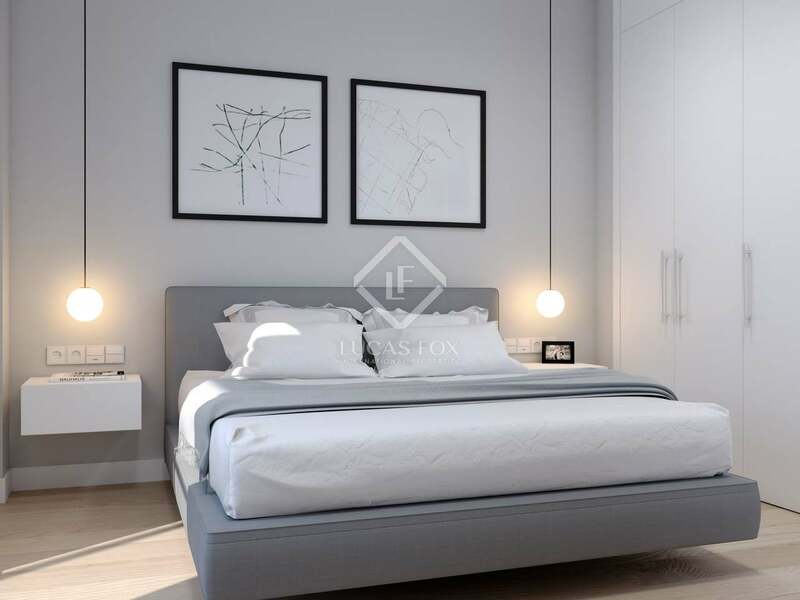 The property also offers 3 wonderful single bedrooms and a master bedroom with a private bathroom. 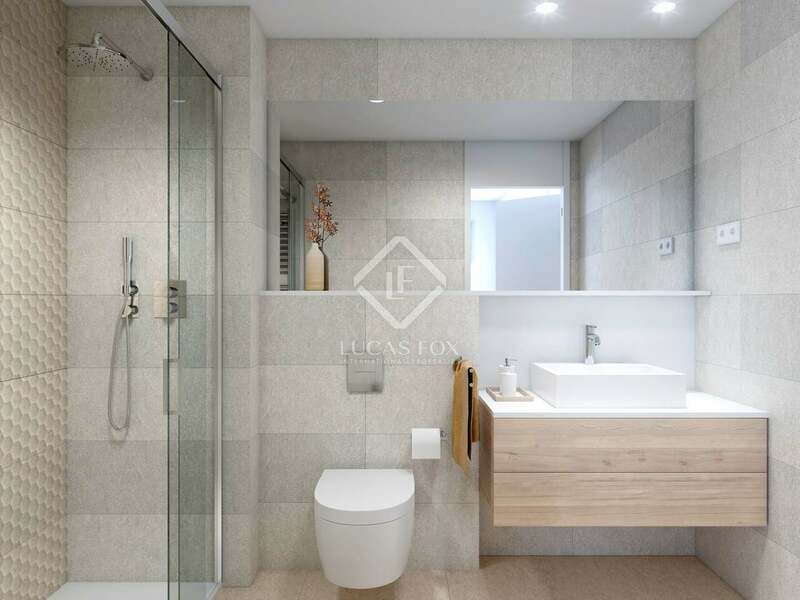 A bathroom completes the property. 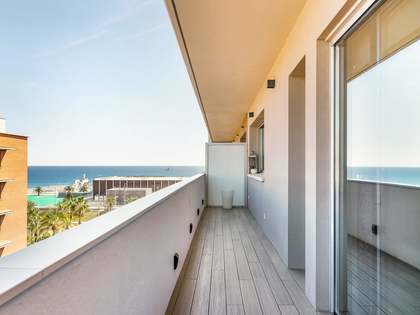 The development benefits from incredible common areas: it has storage rooms, a garage floor with pre-installation for chargers of electric vehicles and a nice roof terrace with a swimming pool, ideal to cool off during the hot months and enjoy the Mediterranean sun, admiring the views to the sea and the city. 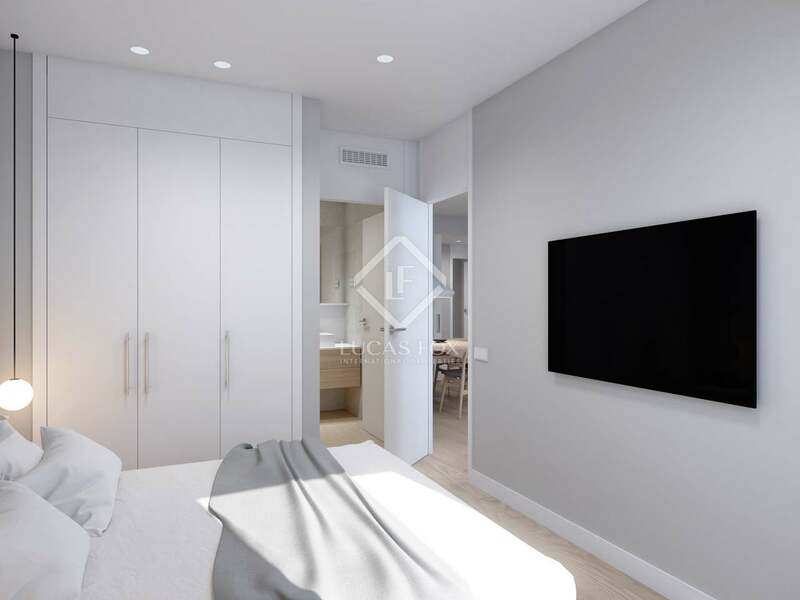 Contact us to visit this fantastic 4-bedroom apartment next to the beach in Poblenou.